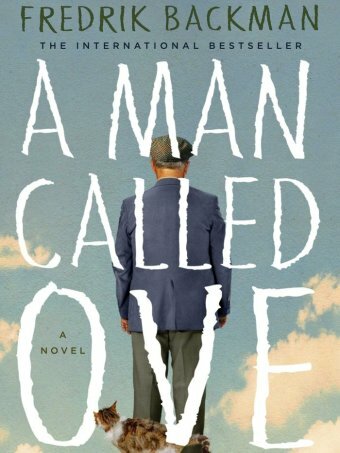 In an effort to read 12 books in 2017, tonight I finished the book A Man Called Ove by Fredrik Backman. The book published in 2012, the debut novel by Swedish author Backman was translated into English in 2013 and has been a bestseller. The novel begins with a cranky fifty-nine year old man, Ove, in a computer store. Clearly, he knows nothing about technology and lives in a different world that the salesman who fails to connect or understand his customer. What a benign and comical beginning to a thoughtful and moving book, a book that builds up a world of interesting characters and history from this humble beginning. Because of the way this story builds with hints of mystery (usually answered a paragraph or two after the mystery is presented) it's hard to write a spoiler free summary of this book, and instead it leaves me wanting to simply recommend that other's read it. There are certain qualities of this book that are too convenient or things in other circumstances I might consider gimmicky or conventional, but the way that Backman seems to find the balance here in a way that takes the reader to the edge and then pulls back in just the right way with masterful timing and simple style. Somehow the characters here, and they are characters, are also strangely human -- these caricatures of people still strike a human balance. In reading the logic and ridiculous words of Ove, I often found myself relating to the ridiculous things I might say and if I wasn't chuckling to myself, would find myself reading comical lines allowed to those around me. In many ways this book captures both the joys and sorrows of a life, as well as the opportunity to be a part of the story in the lives of others.